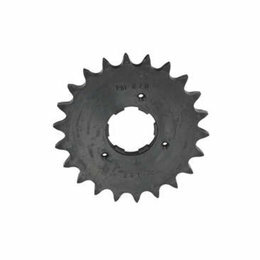 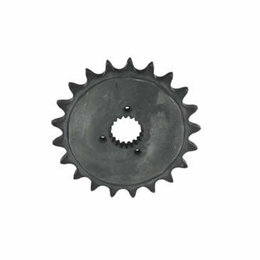 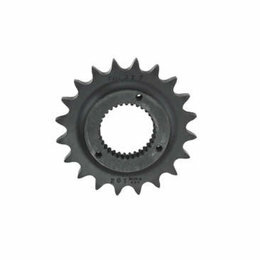 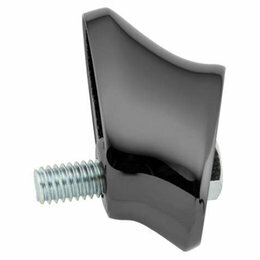 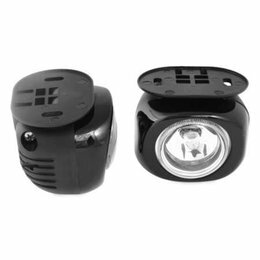 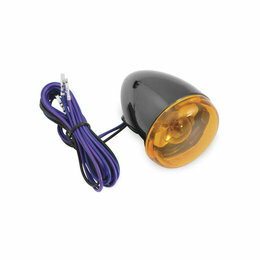 Black nickel finish with amber lens 12V incandescent bulb Front fitment Stem mount Wiring length: 42” Sold each DOT compliant Note: LED lights may require the use of a load equalizer to function properly. 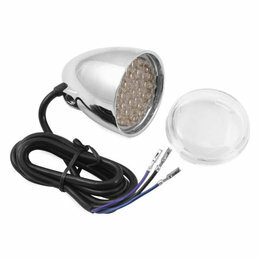 LED turn signals feature sealed dual-function LED circuit boards 100,000 hour rated 12V LED bulb Require 80% less wattage than standard bulbs Red LED with clear lens Chrome finish Rear fitment Wiring length: 42” Sold each DOT compliant Note: LED lights may require the use of a load equalizer to function properly. 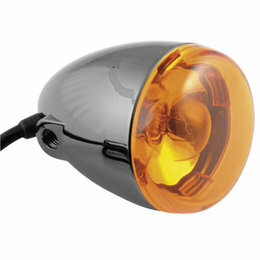 Black nickel finish with amber lens 12V incandescent bulb Rear fitment Wiring length: 42” Sold each DOT compliant Please note: Mounting bracket required; sold separately. 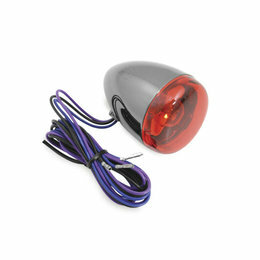 Note: LED lights may require the use of a load equalizer to function properly. 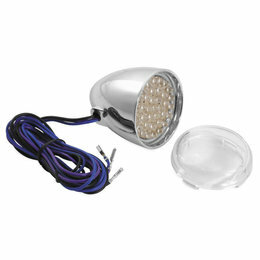 LED turn signals feature sealed dual-function LED circuit boards 100,000 hour rated 12V LED bulb Require 80% less wattage than standard bulbs Incandescent bulb with red lens Black nickel finish Rear fitment Dual function Wiring length: 42” Sold each DOT compliant Note: LED lights may require the use of a load equalizer to function properly. 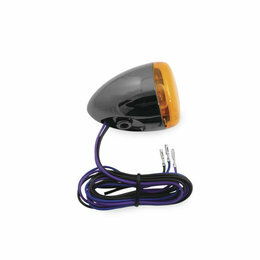 LED turn signals feature sealed dual-function LED circuit boards 100,000 hour rated 12V LED bulb Require 80% less wattage than standard bulbs Incandescent bulb with amber lens Black nickel finish Hollow stem mount Rear fitment Dual function Wiring length: 42” Sold each DOT compliant Note: LED lights may require the use of a load equalizer to function properly. 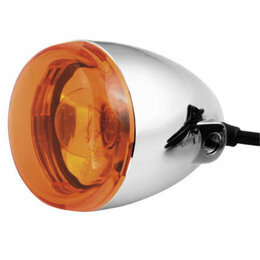 LED turn signals feature sealed dual-function LED circuit boards 100,000 hour rated 12V LED bulb Require 80% less wattage than standard bulbs Amber LED with clear lens Chrome finish Front fitment Wires run through mounting holes Wiring length: 42” Sold each DOT compliant Note: LED lights may require the use of a load equalizer to function properly. 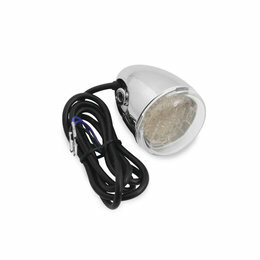 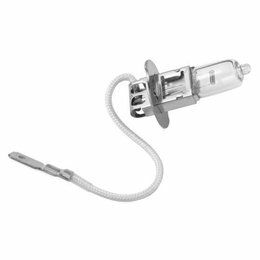 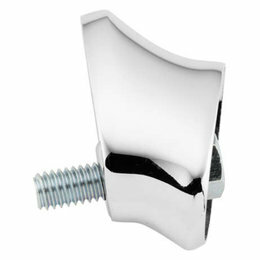 H3 halogen lamp, 55W, 12V Cast body with silver finish and chrome band Metal, adjustable mounting bracket Sold individually Note: Wiring harness sold separately. 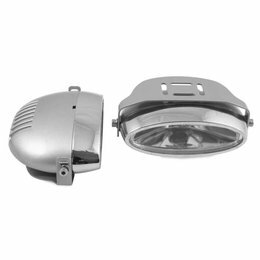 Metal, adjustable mounting bracket H3 halogen lamp, 55W, 12V Black, cast body Sold individually Note: Wiring harness sold separately. 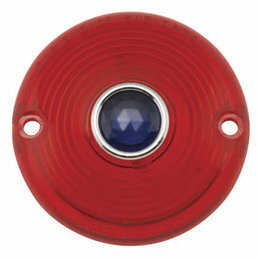 Replacement turn signal lens Color: Red with blue dot 3-1/4” diameter, flat/round Rear fitment Sold individually Made in the USA Made in accordance with all DOT requirements Note: When a blue dot reflector is installed in a DOT-compliant lens, the lens no longer passes DOT standards. 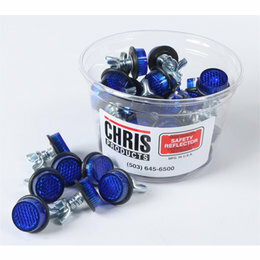 Check local laws before installing blue dot lenses. 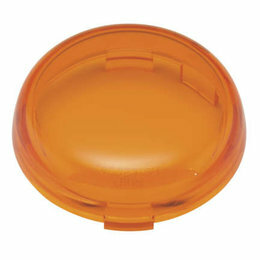 Replacement turn signal lens Color: Amber with blue dot 3-1/4” diameter Front or rear fitment Sold individually Made in the USA Made in accordance with all DOT requirements Note: When a blue dot reflector is installed in a DOT-compliant lens, the lens no longer passes DOT standards. 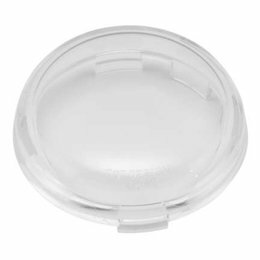 Check local laws before installing blue dot lenses. 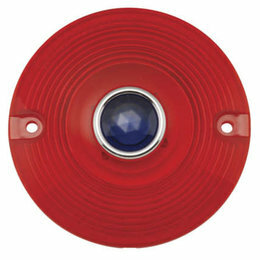 Replacement turn signal lens Color: Red with blue dot 3” diameter Rear fitment Sold individually Made in the USA Made in accordance with all DOT requirements Note: When a blue dot reflector is installed in a DOT-compliant lens, the lens no longer passes DOT standards. 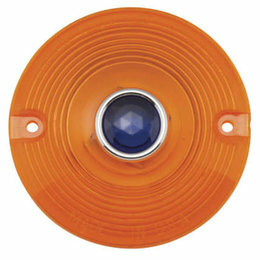 Check local laws before installing blue dot lenses.